Mike Croy has done it again. Mike has commissioned graphic artist Jesse Ladret to produce this stylish new promotional poster for 2018. This is the 4th poster Jesse has made for the club going back to 2013. 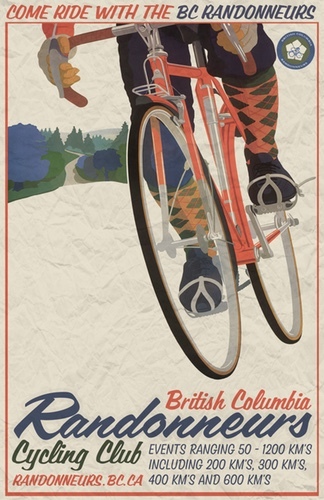 He has also done 2 Victoria Populaire posters. Mike plans to put this in bike shops around Victoria. The image above is linked to the full sized image. 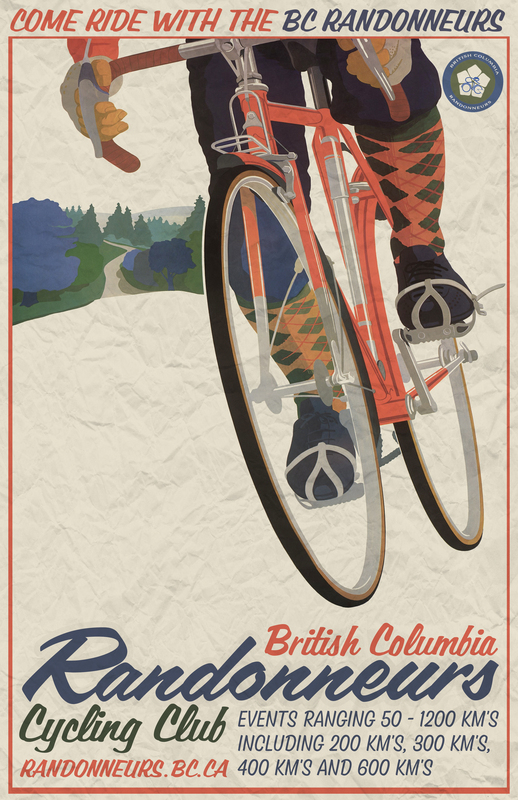 Why not print it and ask your own local bike shop to display it. You can find all four posters anytime on the organizers' logos and graphics page.